I still can't believe that I lived my first 20 years on an island 200 km away from Reunion Island and never realised what an incredibly amazing and diverse island it was. 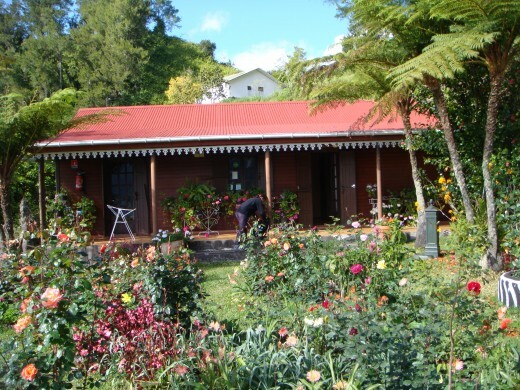 It is a shame that Reunion island is not well known by British and American travellers. 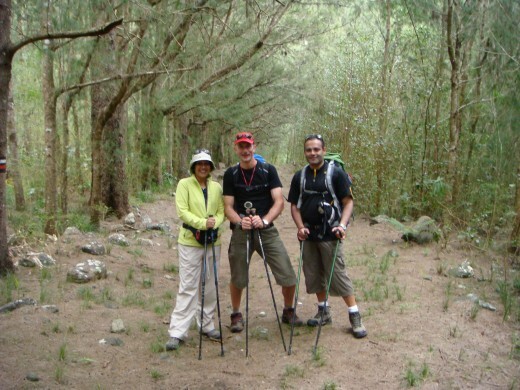 I would rate Reunion in my top 10 destinations for trekking. You must be wondering where is Reunion? Reunion is part of the Mascarene islands, a small archipelago of volcanic islands in the Indian Ocean off the east coast of Africa. Its nearest neighbour is the paradise island of Mauritius. Although they are both volcanic islands and so close, they could not be more dissimilar. 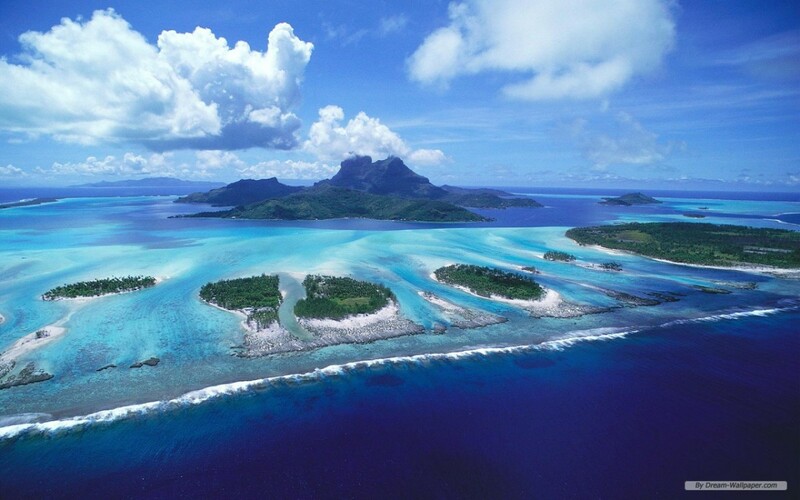 Mauritius is renowned for its idyllic beaches and flat blue seas with a coral reef all around the island. 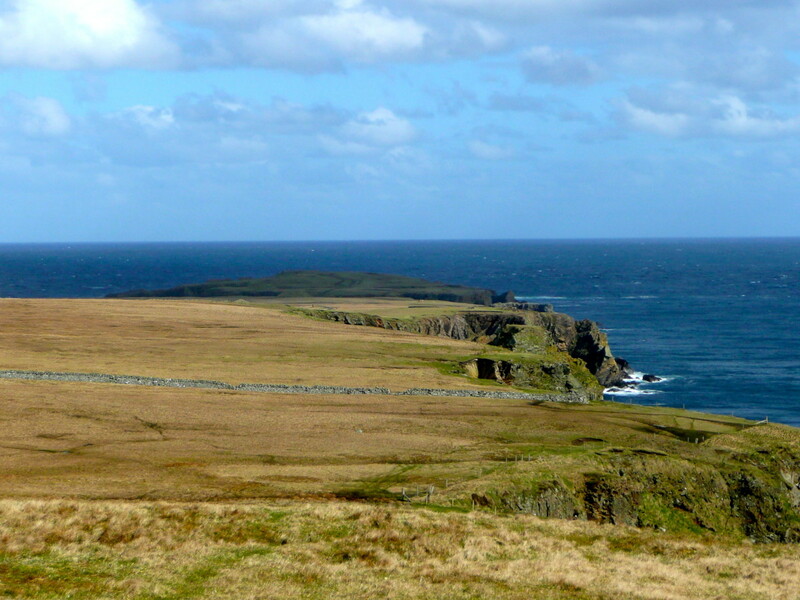 The highest peak on the island is only 828 metres. The beaches in Reunion are nowhere near as beautiful as those in Mauritius. 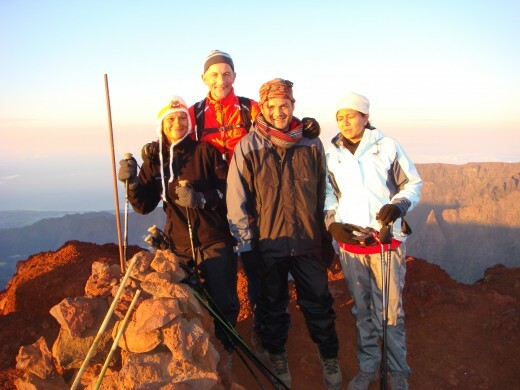 But, Reunion has active volcanoes and it has very high mountains, the highest being Piton des Neiges at 3070 metres. What struck me the most about the wild interior of the island is that there are many areas that cannot be reached by road. Reunion belongs to France and is considered as one of the French overseas departments. 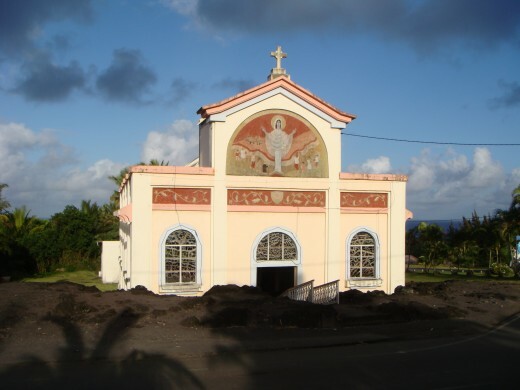 The currency is Euro and the official language is French, but the local creole is spoken by the inhabitants of the island. The island is 63 kilometres (39 miles) long; 45 kilometres (28 miles) wide; and covers 2,512 square kilometres (970 sq miles). 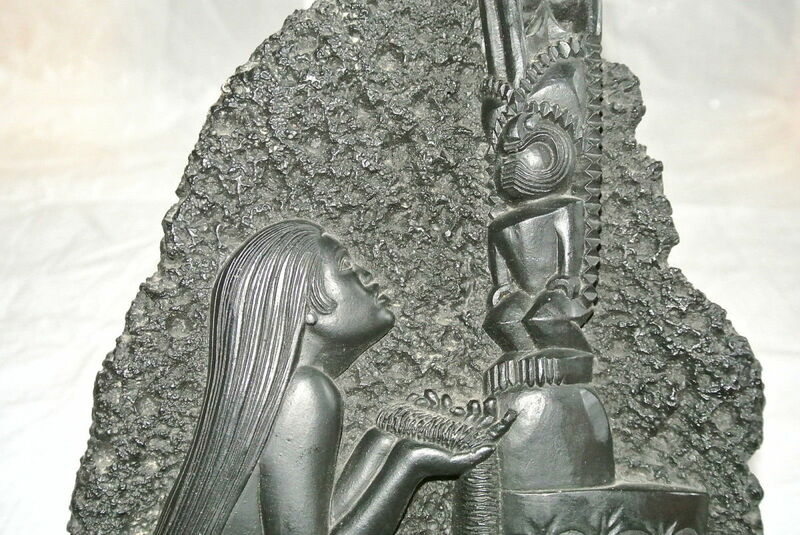 It is similar to Hawai as both are located above hotspots in the Earth's crust. Piton de la Fournaise a very active volcano on the eastern end of Réunion Island, rises more than 2,631 metres (8,632 ft) above sea level and is sometimes called a sister to Hawaiian volcanoes because of the similarity of climate and volcanic nature. It has erupted more than 100 times since 1640 and is under constant monitoring. It most recently erupted on 2 January 2010. Before that, the most noticeable was during April 2007, when the lava flow was estimated at 3,000,000 cubic metres (3,900,000 cu yd) per day. Piton des Neiges volcano, the highest point on the island at 3,070 metres (10,070 ft) above sea level, is north west of the Piton de la Fournaise. Piton des Neiges is extinct. Despite its name,(snow is neige) snow practically never falls on the summit. 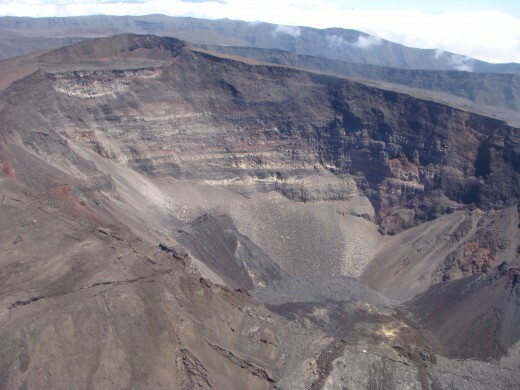 The slopes of both volcanoes are heavily forested. Cultivated land, the capital city of Saint-Denis and all the towns are concentrated on the surrounding coastal lowlands. 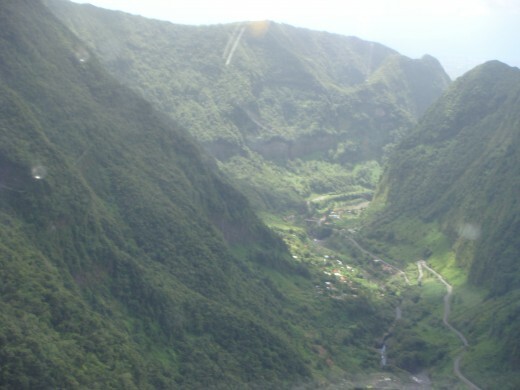 Réunion has three calderas or Cirques: the Cirque de Salazie, the Cirque de Cilaos and the Cirque de Mafate. The last is accessible only by foot or helicopter. There were four of us and we decided it would be nice to have the flexibility of walking at our own pace but have our luggage transferred for us. We found that there were not many tour operators who spoke English, therefore we decided to use Terres D’Aventure, a well known French adventure tour company. 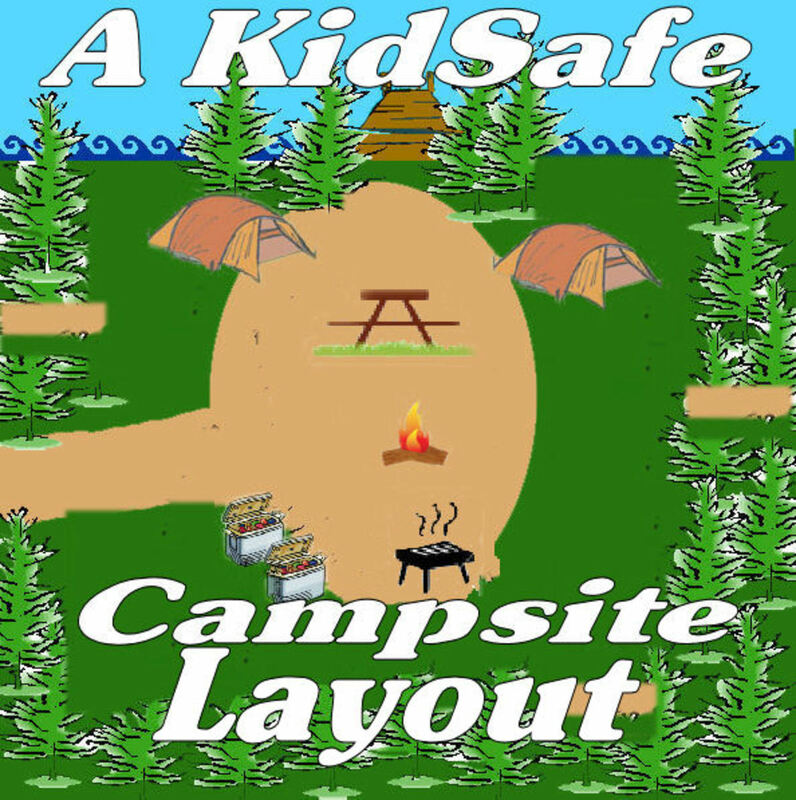 They provided us with all the maps we would need as well as an itinerary based on what we wanted to do. We decided to do the three “Cirques” [See explanation in Info box]. We were picked up from our hotel in St Gilles, one of the nice coastal towns, to be taken to the start of our trek in Hell-Bourg. The driver was a driver from Hell as he was driving like a lunatic along the mountainous roads and we were all relieved to get out of his car. Hell-Bourg is a sleepy village from where, most trekkers walk to Grand Ilet in the Cirque de Salazie. This was a lovely 6-hour walk with 2 hours break for lunch and refreshments. The views were already spectacular and I started to feel the walking sticks were going to be my best friends. We walked past the ruins of an ancient thermal baths. When we arrived at Grand Ilet, we had a whole house to ourselves with our hosts coming to serve us dinner and breakfast. We hitched a lift to Haut Mafate, with Cirque Salazie behind us and Cirque Mafate, the most untouched, stretching in front of us to the sea. The forest we walked through was one of the most magnificent I have ever come across. It was eerie and so strange that we felt at any moment a dinosaur might jump out from behind a tree. We nicknamed the forest, La Foret des Dinosaurs! After 5 hours we reached Marla, a little town not accessible by road and hence the inhabitants get all their supplies by helicopter. We stopped by a snack bar and had some samoussas (Indian triangular snacks) and bonbon piments (little fried snacks made from chickpeas and chillies) with ice-cold fanta with some salt. This drink is very typical in Asian countries and islands where it is hot and additional salt is required. The night was cold as it was a cloudless sky and the night sky was spectacular due to the lack of light pollution. The fourth day was the hardest so far as it was a very long walk with 800 metres climb and then a 1200 metres descent. The scenery had changed dramatically from the previous days. 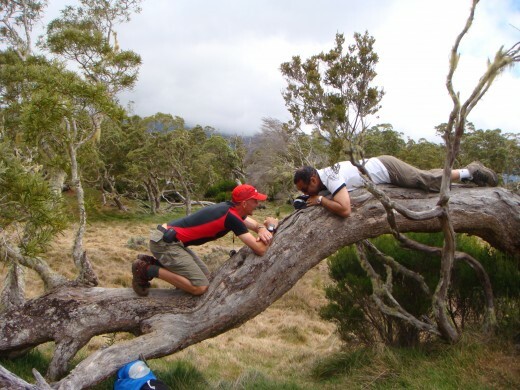 Sheer mountains, like the Gros Morne and deep canyons are the features of the Mafate Circle. Finally Piton des Neiges, the highlight could be sighted. After walking for eight hours we reached the lovely town of Cilaos with very tired legs. We had dinner in a restaurant on the Lakeside, which was divine and we could see the restaurant a long way up the next day as we walked up in the Cirque Cilaos. We had very nice weather up to day five when it rained all day as we ascended another 1200 metres to the refuge. The path was very slippery and treacherous and finally the blue hut of the refuge came into view. We stayed in dormitories and had showers from a trickle of cold water. We were all thankful that Richard(my husband) had carried some drinks and we had a few sips of Baileys each to keep warm. We were supposed to walk along the crater of the most active volcano in the region, Piton de la Fournaise. 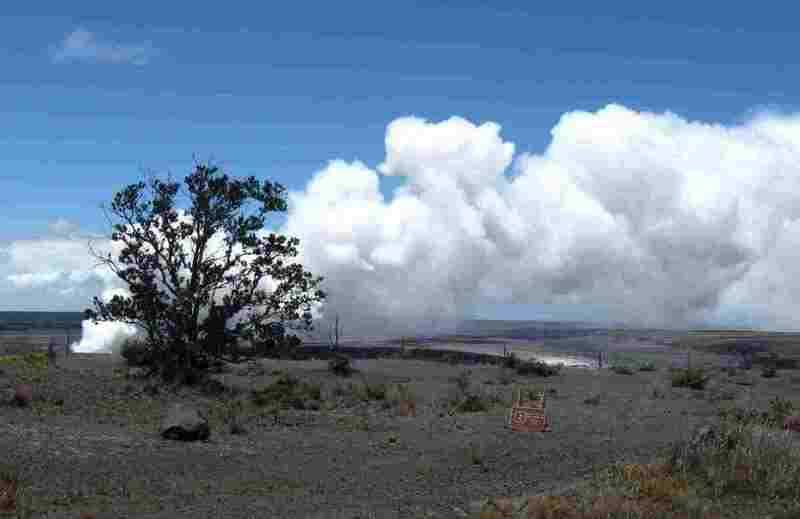 Unfortunately, due to warning of imminent eruption, the area was closed to walkers. We hired a car and drove to the view points and then took a helicopter flight over the whole island. It was amazing to actually see where we had spent six days walking from the air. Finally we witnessed the most amazing thing. We saw the devastation caused by the flow of lava on the southeast coast of the island. The lava flowed all the way to sea, destroying everything on its way. Yet when it got to the town church, it split in two, such that lava flowed on each side of the church leaving the church building intact! When I went inside the church I could feel the energy in that church! Well miracles do happen and it was a fabulous end to our incredible journey through the wild side of Reunion Island. If you feel your French is up to it, go ahead and have a look! Sounds a fabulous place to visit. Thanks Gypsy Jane...hope you can go there one day! This trip sounded like a fantastic adventure in a really offbeat destination. Thanks for sharing the details and pictures. Terrific hub! Thanks chamilj. It is always nice to hear that you are reading and enjoying my hubs. Cool hub with nice collection of beautiful locations. Thanks! Thanks Simone! If you do go, you must also make a side trip to Mauritius, my birthplace. What an awesome trek! Cool Hub, and great photos!! 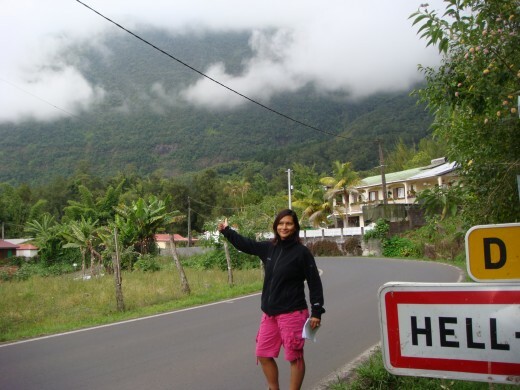 Now I really want to go to Reunion Island!